History – The. A. F. Davidson Corp.
Beginning in 1885 in Terrebonne Parish as a general merchandise business Davidson Hardware has handled a vast array of goods over the years. From baby cribs, to groceries, to coffins, you could easily see that our founder, A. F. Davidson, was a man who definitely looked at the long range of his endeavors. He could help you start out in life, feed you while on earth, and finally lay you to rest. The history of this business corporation became inter-meshed with the history of the Davidson family. When A. F. Davidson came to Terrebonne Parish from Evansville, IN in 1880, he settled in Dulac where he managed a plantation sawmill until he began the operation of what we know today as Davidson Hardware. In 1889 A. F. Davidson leased property on the corner of Main and Roussell Streets in the city of Houma, where the Whitney bank stands today. On this site Davidson continued his general merchandise business. In 1892 he purchased the property and constructed a two story brick building which was a Houma landmark for many years. In this same year, A. F. Davidson was also instrumental in founding the Bank of Houma located in the same facility. Soon afterwards Davidson took in a partner by the name of N. L. Avery however, the firm of Davidson and Avery was dissolved in 1901. A short time later Davidson again accepted a partner by the name of J. Kleiner. The relationship of Davidson and Kleiner continued until April 21, 1910. 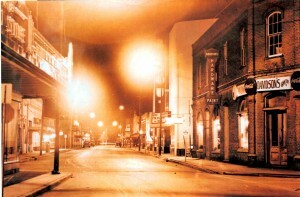 After this date only the Davidson name appeared on the store marquee. A. F. Davidson was married to the former Eva Brown and had seven children; Bernice (Mrs. George Gueno), Ethel (Mrs. C. L. Johnson), Gladys (Mrs. T. I. St. Martin), Mignon (Mrs. Prentice Brown), Clarence, Norman, and Percival. It was Percival who joined his father in the business in 1906. By this time the bank had been moved to its own location further down Main Street, and the Davidson store was expanded to occupy the entire building. In 1909, Mr. Percy, as he was called, married Culmeada Bienvenu, an employee of Davidson and Kleiner. When his father, A. F., died on June 27, 1924 Mr. Percy assumed the responsibility of general manager. Aside from minding the store, Percy and Meada reared two sons, Percival R. Jr., who was killed during World War II, and Charles Henry. On July 1, 1937 the firm was incorporated under the name of the A. F. Davidson Corporation, with Mr. Percy as the general manager. He held that position until his death in 1948. 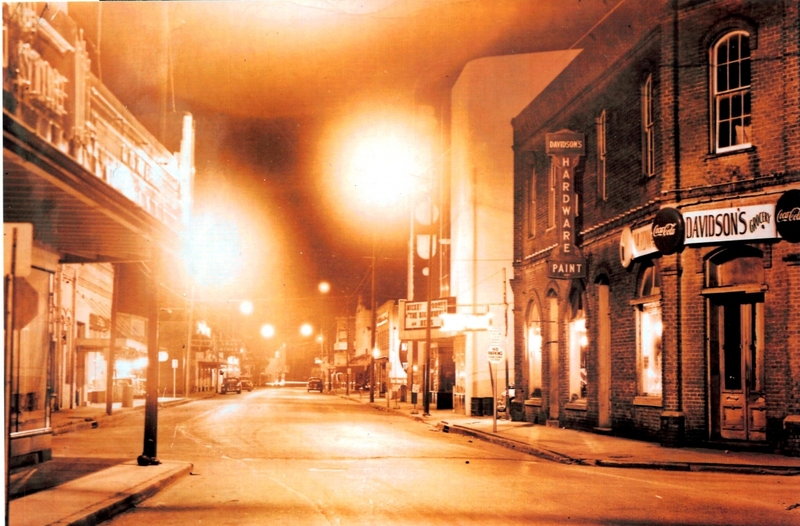 At this time Charles, Mr. Percy’s surviving son, assumed management of the store. As a fighter pilot during the war, Charles was no stranger to leadership and responsibility. He was eager to continue his grandfather’s business. Also during this period, more than ever before, competition from other stores began to mount. More emphasis was being placed on hardware and home appliances. 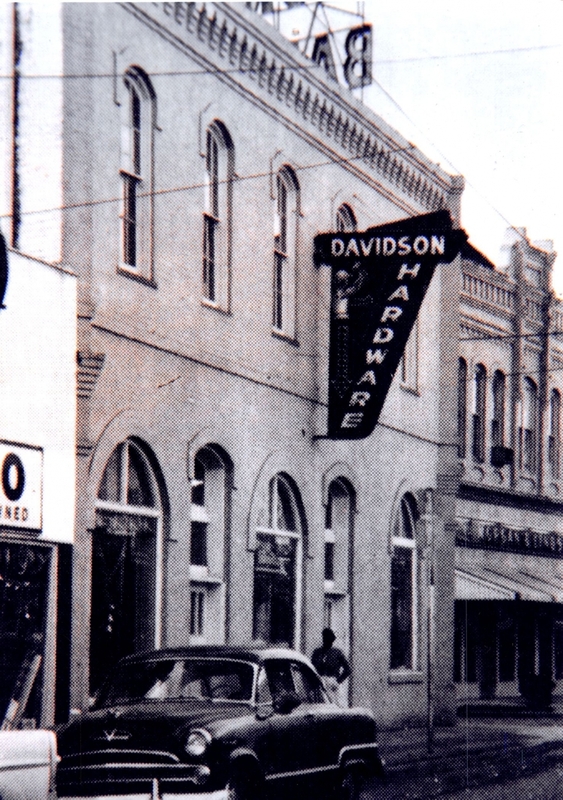 A major decision was made in 1963 to move Davidson Hardware from its home of 78 years on Main Street. The store relocated to a more modern and convenient location in the Tunnel Shopping Center on East Tunnel Blvd. Charles H. Davidson is married to the former Thelma M. Daigle and they have one daughter, Gwendolyn Ann. Charles became involved in local politics in the early 1960’s, first as a school board member, then later as a city Alderman. At one time Mr. Davidson held both positions simultaneously. In 1969 Charles was sworn in as Houma’s mayor to fill the unexpired term of the late Mayor G. Leslie Broussard. Mayor Davidson maintained this position for two more continuing terms. A few years later he was elected for a term as a council member to the Terrebonne Parish Consolidated Government. To this day, Charles still servers his community as a member of the Terrebonne Parish Library Board. In 1969 when Charles decided to accept the responsibility of mayor of Houma, he also had to choose a manager for his family business. The likely choice was William J. “Billy” Talbot II, his son-in-law. Billy, who had spent many hours working in the store during his high school and college years, was well prepared to assume the duties of management of this fourth generation hardware store. Billy, originally from Franklin, LA, is a graduate of St. Francis Boys’ High School, as well as a degreed graduate of Nicholls State College. Billy is currently general manager of the firm, while Charles remains president of the corporation. Gwen and Billy have two sons, W. J. III, and Charles “Chucky” Talbot, who have both worked with the firm from an early age. Since graduation from Nicholls State University in the early 90’s, they have both taken management positions, insuring a fifth generation of family leadership at Davidson Hardware. Through the years our company has seen the beginning and the end of many a competitor, the good and the lean years, as well as the peaks and valleys of product after product. Today, with the challenge of an ever changing market, a successful hardware business must keep a close eye on inventory management and most importantly, the customer that is being served. Very simply – the customer is the pulse of a business. The customer will tell you what hours you need to be open. The customer will tell you what products you need to carry. The customer will also tell you what prices they are willing to pay for a product. The customer will even tell you who in your company is doing a good job and who is not. The customer is definitely the key to running a successful business. We at Davidson Hardware have always professed that we are in the “hard” ware business and not the “easy” ware business. The demands on our sales staff can be overwhelming at times. They are called upon to be knowledgeable in a vast array of fields – from the solving of a simple plumbing inconvenience to the diagnosing of a complex electrical problem. We have been fortunate to have maintained a talented, courteous, and dedicated staff throughout the many years of service to our community. The Davidson Hardware family would like to take this opportunity to say a heartwarming Thank You to all who have patronized our company over the many years, and to those who have not yet, please stop by for a visit. We are sure you will enjoy the experience. One question we are asked over and over again is “what effect have the big-box retailers had on our smaller independent company?” Our answer has always been consistently the same. Each time a new competitor enters our business arena Davidson Hardware has managed to meet the immediate challenge by making whatever adjustments necessary to our product mix, to our price structure, to our hours of operation, and most of all to our extended customer services. We at Davidson Hardware not only intend to survive the competition, but to emerge as a much stronger and more successful business for it.